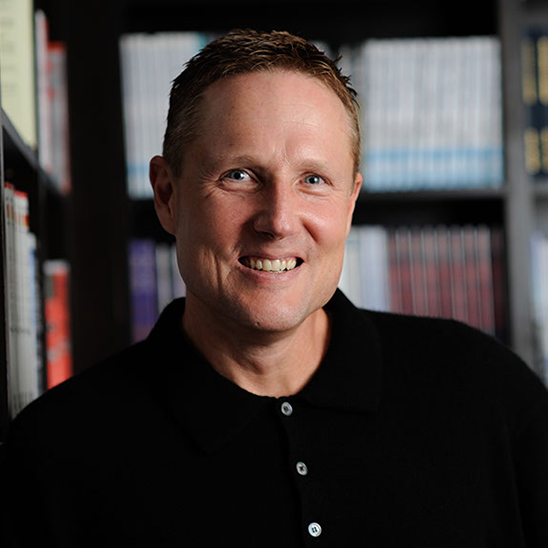 Mike has developed a unique perspective from 20+ years of working alongside a star-studded list of world-renowned thought leaders, including Dr. John Kotter, Dr. Stephen Covey, Tom Peters, Jim Kouzes, Hyrum Smith, Steve Farber and Chris McChesney. 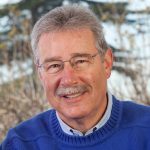 Mike served in senior leadership and consulting roles with Kotter International, FranklinCovey, and Tom Peters Company. 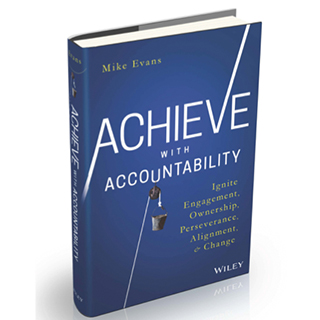 In addition to being a bestselling author, Mike is a leading authority on Unleashing Personal and Organizational Accountability, clients rely upon Mike’s solutions to; Accelerate Change, Shape Their Optimal Culture, Flawlessly Execute Key Strategies, Ignite Leadership Capacity at all Levels, Amplify Employee Engagement and Cultivate Peak Performance. 31 of Fortune 50 are clients. Mike works with organizations around the globe and in virtually every arena, from the tech sector to financial services, manufacturing, healthcare, hospitality, entertainment, retail, and the US Government. Clients include: Intel, Capital One, Cargill, General Mills, Monsanto, Apple, BNY Mellon, BP Alaska, Masonite, Rite Aid, ACE Hardware, H&R Block, McAfee, Pfizer, The United States Navy, Fidelity Investments, Johnson & Johnson, Symantec, Cigna Corporation, US Steel, PharMerica, Oracle, Astra Zeneca, Baxter International Inc., Shell Oil, Cargill, American Airlines, DuPont USA, Novartis and NASA. 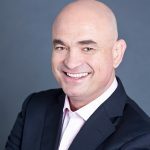 Mike consults with senior teams, facilitates custom workshops, delivers keynote speeches and provides coaching and consulting on all of these subject areas. 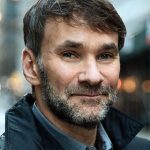 He uses his unique insights, passion, experience, and humor to positively affect individuals, teams, and organizations around the world. 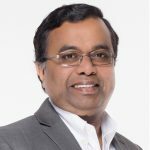 He is experienced with executive leadership teams and groups at all organizational levels. His style is engaging, upbeat, entertaining, thought-provoking, compelling, and most importantly educational, relevant and impactful. Individuals, teams, and organizations yield immediate results by applying what they learn. Seven relentless powerful beasts have joined forces and are gunning for your job, to displace your department and to vanquish your organization. In the age of the never satisfied customer, multi-faceted global influences and complex economic challenges, there are companies and entrepreneurs (Destructive/Disruptive Competition) at this moment looking to reinvent the way your business is done. How many bookstores were wiped out because of Amazon.com? What happened to Kodak? Yellow cab? Blockbuster? Sears? Woolworth’s? Nokia? Rest assured someone somewhere is about to revolutionize your industry, your business, your department, and your job. We are in a brawl with few rules, where the fast, flexible, and agile will eat and spit out the slow, over-thinking, and complacent. Individuals, teams, and organizations that fail to adapt will find themselves vulnerable, uncomfortable, and at the mercy of other people, events, or the competition. In this New World of Work, quickly leveraging ideas, talent, and leadership at all levels will separate top performing organizations from the laggards. Resistance is futile. In today’s commoditized surplus economy, where customers and employers have more choices than ever, what will it take to ensure your products and services are scintillating and memorable? As an individual, what are you doing to secure your position in the New World of Work? Distinct or extinct – the choice is yours. Learn how to awaken the whatever it takes attitude, belief, resolve, perseverance, confidence, determination, drive and creativity to achieve what matters most to you, your team and your organization. It’s about maintaining a competitive edge amidst chaos. It’s about achieving success when the stakes are high and ever-changing. Do you know what it will take? Are you ready for the dramatic changes taking place in the New World of Work? Learn to differentiate in a sea of sameness. Understand why many individuals, teams and organizations are losing to the unforgiving forces of the ‘7-sided pincer movement’ in the New World of Work. Build, enhance and grow your desired ‘brand’ – Organizational and Individual – to cement your spot in the New World of Work. Learn the 6-ingredient ‘kryptonite’ to thwart the 7-sided Pincer Movement. Capitalize on the untapped potential of your talent – inspire extraordinary performance. Accountability is the catalyst to accelerated change, robust employee engagement, intensified ownership, relentless perseverance, impeccable alignment, and propels individuals, teams, and organizations to intoxicating heights of achievement and success. Learn what it takes to awaken the whatever it takes attitude, belief, resolve, perseverance, confidence, determination, drive, and creativity to achieve what matters most to individuals, teams, and organizations. Discover how to transform accountability into a positive, engaging and forward-looking experience that will secure your position in the new world of work. Learn how to kick-start a revolution that will blast your team or organization to new heights of success. With the world coming at us fast and furious every day, it’s easy to feel like you’ve lost control of your own life, your team or your organization. By choosing to take and lead accountability you reclaim control and are able to direct your own destiny. Discover the 4 keys to accountability, along with the observable best practices. Cultivate the agility, flexibility, and resiliency to adapt and thrive during constant change. Foster collaboration, camaraderie, and teamwork – Establish unshakable trust and credibility. Intensify ownership, engagement and alignment – Crumble silos and abolish territorialism. Instill a can-do, steely resolve, solutions-focused mindset in the face of difficult challenges, obstacles, and barriers. Shed feelings of disarray, discomfort, apathy, entitlement, indifference, and despair. Unleash voluntary contributions of discretionary performance that is often left untapped in individuals, teams, and organizations. In the past, change was episodic, transient, and gradual. Now, change is constant as business, technology, and society itself continue to evolve at an ever more rapid pace. Accelerating Change – igniting engagement, passion, ownership, and creativity that is often lacking during times of change, can be accomplished using proven memorable and pragmatic principles. Learn why some organizations achieve and exceed desired results. Leading change has become a critical competency in today’s economy. But there is a significant and crucial difference between leading and managing change – not only in the approach but more importantly in the results. The success, or lack thereof, with transformational change efforts, hinges on a few key principles that have been identified, studied and validated. Nearly 75% of large-scale change efforts fail, or produce mediocre results. By implementing proven change principles that have allowed teams and organizations around the globe to accelerate and sustain desired change, you gain a competitive advantage. Embrace the key change principles that are common among successful change efforts. Understand the critical difference between leading and managing change and the appropriate ratio required to accelerate change. Discover what it takes to move employees from compliance to commitment – jettison resistance. Learn how to create a ‘Want-To’ versus a ‘Have-To’ culture. A culture where change is embraced. Intensify agility, resilience, and perseverance. Culture, simply put, is the convergence of the way your employees think and act. That culture is producing your organization’s every result (financial, operational, customer, employee, etc.). If your future desired results are loftier, more difficult, or just different than those you are achieving today, will your current culture be able to deliver? Most often, the results teams and organizations must achieve in the future will require employees to think and act differently. Creating those ‘shifts’ in how employees think and act is what will propel your team or organization toward those desired results. Your culture is your ‘brand.’ The experiences your culture creates (the manner in which your employees think and act) will either reinforce that current ‘brand’ or evoke a new one. You can either lead your culture, or it will lead you. An organization’s (or team’s) culture is either an engine propelling it toward it’s desired results or an anchor impeding and hindering its progress. You can define, lead and shape your optimal culture. Develop a culture where employees ‘bring more of themselves’ to the workplace – trigger innovation, creativity, and passion. 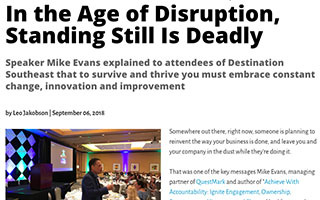 In the age of the never satisfied customer, multi-faceted global influences, and complex economic challenges, there are companies and entrepreneurs (Destructive/Disruptive Competition) at this moment looking to reinvent the way your business is done. How many bookstores were wiped out because of Amazon.com? What happened to Kodak? Blockbuster? Sears? Woolworth’s? Nokia? Rest assured someone somewhere is about to revolutionize your industry or your business. Understand why many individuals, teams, and organizations are losing in the New World of Work. In these tremendously ultra-competitive and turbulent times, how do you cultivate an environment where employees at all levels are engaged, energized and flourish? How do you effectively tap into the enormous wealth of creativity, innovation, passion, energy, and commitment of employees that is often left idle? Much different than ‘job satisfaction’ (there are a lot of highly paid miserable people who are satisfied with their job) – engagement is about passionate, focused and committed employees contributing daily to help achieve what matters most. Understand what it takes to help employees find more meaning and fulfillment in their work. 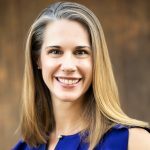 Discover the key elements of communicating a vision that leads to increased levels of commitment, engagement, and accountability. Discover what it takes to influence and inspire others – with or without positional authority. Vanquish any existing degrees of the ‘us’ versus ‘them’ mindset. In a society where some experts suggest the average attention span is eight seconds, how do you enhance mindfulness and live in the moment? The benefits of being present and aware improve peace of mind, control, and personal growth. Developing your ability to be cognizant of your feelings, thoughts and bodily sensations bolsters your level of consciousness and intensifies your feelings of control and effectiveness. With the relentless and unyielding amount of information, distractions and minutia that bombards you daily, learning to develop mindfulness is your respite during the storm and bolsters your ability to achieve what matters most. Discover the culprits that sabotage mindfulness and what you can do to avoid them. Develop your ‘awareness radar’ – the ability to better understand what is in the head and heart of those around you. The majority of positive emotions are anchored in the present. Learn to leverage that in order to evoke more inner-peace. Learn the best practices utilized by those who have mastered the art of mindfulness. Enhance your ability to control your thoughts rather than your thoughts controlling you. Understand the significant consequences of multi-tasking and the toll it takes on mindfulness. Learn the benefits of focus, commitment to choices and living in the present. Discover how mindfulness reduces stress and anxiety and can improve memory. Deciding upon new strategies and direction is challenging. Enlisting employees at every level to think, act and behave in a manner that assures the strategy results in success is even more difficult. Executing any strategy that requires a change in human behavior may be the most difficult challenge a leader will ever face. What does it take to ensure key strategies are not slowly suffocated, but rather produce exhilarating results? All work is custom tailored to dovetail with each client’s unique culture and to ensure relevance to current business realities. The workshops are interactive, upbeat, entertaining, engaging, and most importantly participants are equipped with proven, pragmatic and memorable models, tools and principles that can be applied immediately. The workshops incorporate adult-learning principles in order to maximize retention and application of the learning. No fluff, hyperbole, rhetoric or complicated models. The insights are easily understood, relevant and applicable. Organizations and individuals are positioned to yield results immediately. Leaders Must Model The Way - Actions Trump Words! @ewarren Your plan would involve stealing money from people who paid for their education and paid back their loans and giving it to people who haven’t. It’s dumb. And a little evil.